Peterlee pumas open age played away to Gateshead today, a very professional performance showed them turn around to play up the "30 point hill" as the locals called it 30 to 4 ahead. The home posted a couple of early tries to get to 14 points but the pumas were able to reply each time and indeed pull away on the uphill slope to make the final score Gateshead 18 Peterlee 46. Man of the match center Peter Youil. Next game home to Cramlington Rockets. Prop Jamie Frazer opened the scoring after Just 5 minutes which back rower Connor Drinkwater Converted to make it 6-0, then, two minutes later. a loud crack was heard Frazer went into a tackle and the 6ft 9 props game ended there with a broken tibia and fibula. The game was delayed for twenty minutes whilst the ambulance took him off the field. 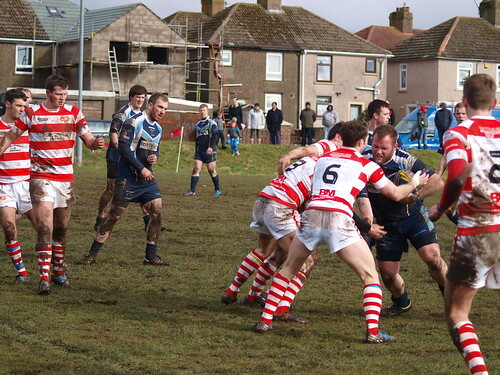 A knock on to the opposition was awarded from the disastrous tackle but Peterlee very quickly got the ball back with some determined defence and then second rower John Malcolm was able to power over from short range, converted by Drinkwater to make 12-0 in as many minutes. Second Rower John Dixon on 20 and then Brad Green on 26 both crossed with Drinkwater adding the extras again before Andy Harris Crossed for Catterick on the half hour, converted by Kieran Canovan. John Malcolm struck back for the Pumas 5 minutes later again converted by Drinkwater, half time score 30 12 to Peterlee. Catterick opened the second half Through Harris and Canovan added the extras but Peterlee came back through centre Peter Yuill, Drinkwater adding the 2. Man of the Match for the Pumas, Brad Green continued a great run of form with another try on the 60thm then center Patrick Ocallaghan crossed the next Minute followed by Alex Stephenson out wide. Kieran Canovan got got one back from Catterick sealing is man of the match performance to take the score to 44 16 with 15 to go. John Dixon rolled back the years to get his second try converted by Drinkwater and Brad Green got his hat trick topped off by Drinkwater. Full time score Peterlee Pumas 58 Catterick 16 putting the Pumas level on points with top of the table Jarrow Vikings. Next Game Away to Gateshead Storm 11th June. 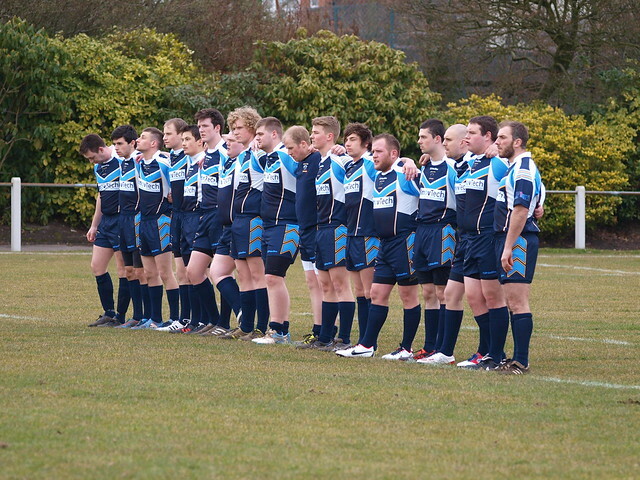 Strong performance by the pumas open age tonight against whitley bay barbarians. The pumas first team haven't played them for at least 7 or 8 years, the last encounter was a pumas 2nd team draw 2 years ago against the barbarians at home. Now with the leagues consolidated into on division, this game was moved from Saturday to accommodate the visitors. Both teams started well but petérlee more than matched their first 25 minutes against jarrow the other week, posting tries and keeping the barbarians out including one sustained period of about 10 minutes where the pumas were pinned in their 20 unable to get the ball and the visitors came close several times. The second half saw the pumas cut loose, scoring from different parts of the field and playing some fast creative rugby. Brad green scored 2 but and involved in 4 tries and half backs adamson, bromley and heckles can claim assists in most of the tries scored including adamson own touchdown from out wide and long distance to win a man of the match performance but the whole team worked well and won the mid field battle to give the edges good ball. To add to the tally, Anthony Lawerence at fullback kicked 6 of 10 conversions. The visitors battled and never gave up and we're reward with 2 converted tries to make the full time score 52 12 to peterlee. 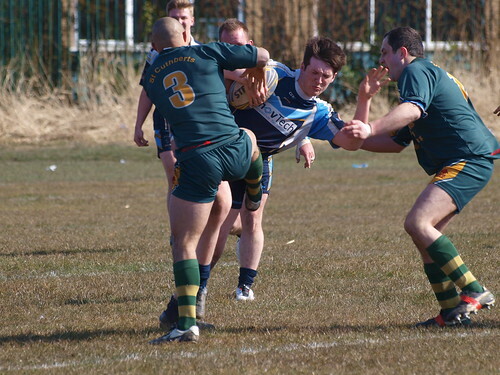 Peterlee Pumas start a rebuilding year with a very young side consisting of a lot of former juniors with some older experienced heads coming back to leand assistance, couple with some new faces keen to make a mark, the pumas are looking new and improved for 2016. 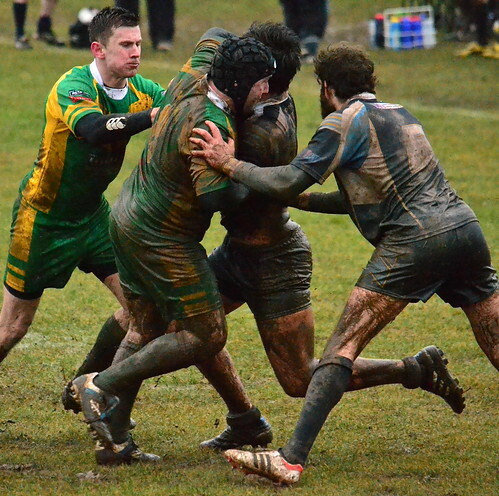 Starting with a couple of friendlies, the County Durham Derby at home to Durham Demons saw a competitive free flowing game with both sides showing some rustiness but the pumas ran out 25 18 winners in the end. the following week, Pumas travelled to Catterick who were able to field 32 players but peterlee came back 3 times to beat the Army based side outsocring by 8 tries to 7, final score was disputed although not the result with Peterlee taking the spoils 48 32. The final weekend before the league stars saw Peterlee enter a side into the North East 9s festival, Mens and they peroformed some entertaining rugbl and doing really well, beating Gateshead storm 21 9 and Wallsend eagles 32 7 in their group although narrowly lost to 9s specialist durham demons in a thrilling opener to the group stage where both sides scored from some free flowing Rugby although Durham just edged out the Pumas in the end. Which meant they went through to the semi final. A couple of controvertial disallowed tries ment they lost 20 15 to Cramlington and missed out on a final spot against Durham which would have seen a rematch of the opening group game which would have been another close encounter, however Durahm ran out comfortable winners against Cramlington in the final instead. Peterlee now look forwards to the opening game of the season, away to Jarrow who have had it all thier own way in recent years and will be strong fabourites especially having recruited some former Pumas but Peterlee will be able to use the game as a benchmark to measure against last years poor performances and see how far they have come. The under 16s have started their season well also, hosting a 9s festival themselves, they won one against Catterick and lost narrowly to Wallsend, and then their first league game unfortunatley, due to several injuries and gcse committments meant only 11 players had to take the field against a full Cramlington squad. 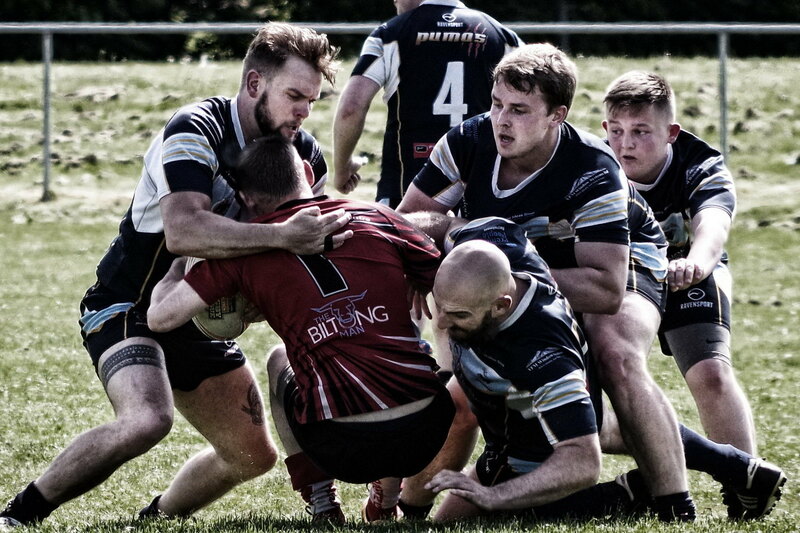 A huge performance and really close game saw the 11 man Pumas narrowly go down 22 20 to Cramlington in a game that could have gone either way and bodes well for the Pumas this year who will look to entertain at all leves. Finally the pumas littlies section saw even more bright encouragement for the Pumas future, with the under 8s running out in the Kingston Park Festival, winning 2 and drawing one game, the under 10s also performed well in their game at KP.